Post of The Book's Status. Welcome to all who are new and who join here regularly. it's pleasure to have you here, feel free to look around, and most importantly visit the prodigal tourist, and purest green's site, both can be found in the links on the right. The book is done, and is being edited. Almost there, almost there. It's about Transylvania. It's about the Second World War, and I'm interviewing Transylvania Saxons for it and the series of books I'm writing about. 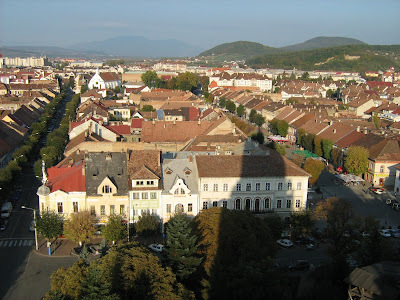 If anyone knows some Romanians or Hungarians in that area, tell them they can contact me, in my efforts to complete a book on the people of Transylvania. "The book is done, and is being edited." Good to hear, good luck with it! First book?